Experience Yellowstone Tours offers educational and informative guided natural history van tours of Yellowstone National Park. We offer daily departures from Cody Wyoming. After driving the 50 mile Buffalo Bill Scenic Byway, claimed by many to be the most scenic ride in Wyoming, we’ll be entering the world’s first national park through the scenic east gate. These exciting tours emphasize nature photography, ecology, geology and wildlife viewing. Your tour will be guided by D. Robert Franz who was proclaimed by Digital Photography Magazine as one the 100 best wildlife photographers in the world. During your full day of exploration in Yellowstone’s 2.2 million acres you will see rugged mountains, clear alpine lakes, lush valleys, stunning wildflower displays and the world’s largest concentration of thermal features. The parks ten thousand thermal features include spectacular geysers, colorful hot springs, bubbling cauldrons, mud pots and roaring fumaroles. Yellowstone may be even more famous for its world class wildlife viewing. The park is home to grizzly bears, black bears, gray wolves, mountain lions, bison, elk, moose, bighorn sheep and so much more. Robert has been guiding and photographing in Yellowstone for over 30 years knows when and where to find the animals. Individuals, groups, couples, family and friends are all welcome. Multi-day tours are available, touring both loops provides a more complete Yellowstone Experience! 1. “Upper Loop Tour” Wildlife is the primary attraction of the Upper Loop Tour. During this tour you have a chance to see Black Bears, Grizzly Bears, Wolves, Bison, Elk, Bighorn Sheep and other wildlife. Spectacular scenery abounds as well including the rugged Absaroka Mountains, the wildlife rich Hayden Valley, the Grand Canyon of the Yellowstone in which you will see the Upper and Lower Falls of the Yellowstone, Tower Falls, Undine Falls, Thermal features will not be missed on this tour with chances to visit the Mud Volcano thermal area, Sulphur Cauldron, Mammoth Hot Springs and Norris Geyser Basin. 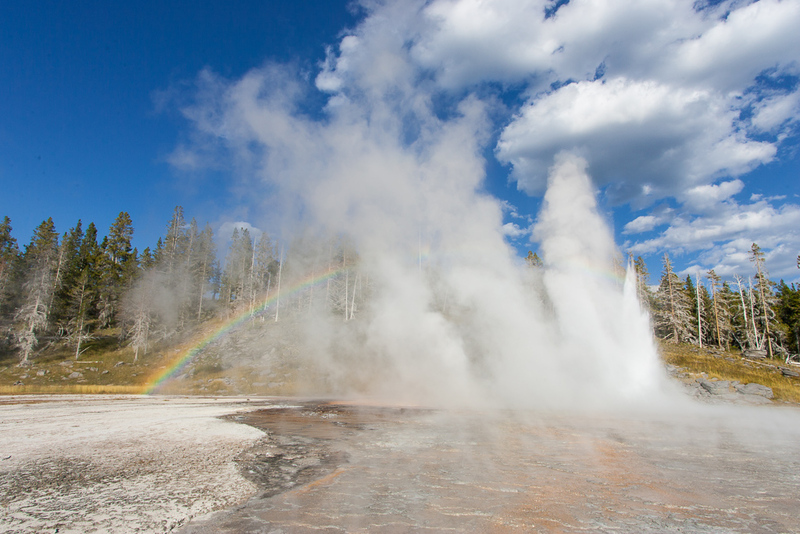 2: “Lower Loop Tour” This tour has a greater emphasis on the parks geology and amazing thermal features including time spent in the “Upper Geyser Basin” home to worlds greatest concentration of geysers including Old Faithful. During this tour you can also visit Norris Geyser Basin, Fountain Paint Pots, Grand Prismatic Spring, Firehole Lake Drive, and the West Thumb Thermal area. We won’t miss the scenic Grand Canyon of the Yellowstone. Wildlife viewing can also be excellent on this loop as we travel through the Hayden Valley. 3: “Wildlife & Nature Tour” (Available May 26 to October 8th) $225 for adult and $100 for children 6-16, under 6 free. This tour is designed to maximize wildlife & nature observation, photography and park ecology. Dale Robert Franz a renown professional wildlife photographer and expert naturalist with undergraduate degrees in Wildlife Biology and Geology and graduate studies in Earth Science will guide each tour. The drive along the “Buffalo Bill Scenic Byway” before even reaching the east gate of Yellowstone will give your the chance to observe, grizzly and black bears, moose, mule and whitetail deer, elk, bighorn sheep, bald eagles ospreys and more. As we enter Yellowstone through the east gate we’ll drive over Sylvan Pass a great location for bighorn sheep and grizzly bears. 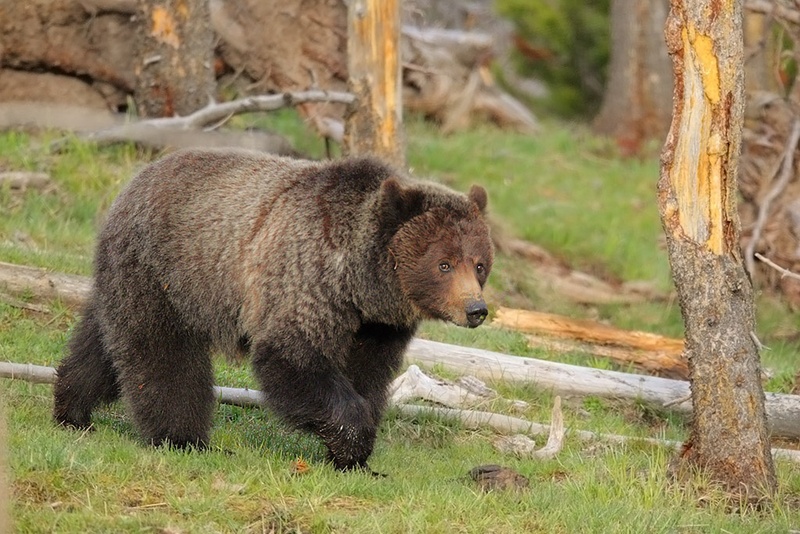 In the Hayden Valleys you will see large bison herds, elk and a great chance to see wolves and grizzly bears. We’ll then drive over Dunraven Pass to an elevation of nearly 9000′. It’s spectacular when multitudes of wildflower species bloom and is a home to much wildlife. 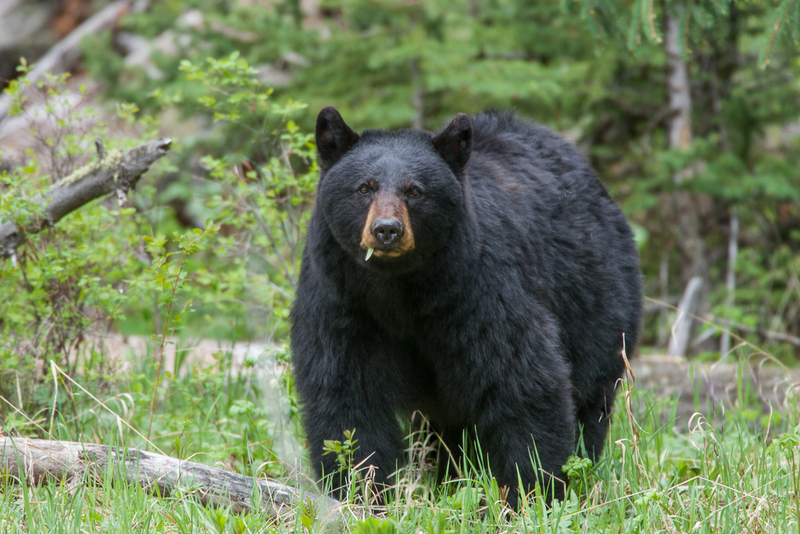 We will then head for Roosevelt Junction driving through some of the best black bear habitat in the park. We’ll exit the park through the Northeast Gate. On our way out we’ll travel through the amazing Lamar Valley perhaps the best area in the world to view wild wolves. We then enter the rugged Absaroka Mountains where we may be able to spot mountain goats and is home to a good number of moose. To get back to Cody we drive over the spectacular “Dead Indian Pass” with amazing mountain scenery and abundant wildlife visible. Tour cost: (Upper & Lower Loop Tours) $200 per person, Children 6-16 $75, Under 6 Free (Custom Wildlife & Nature Tour) $225 for adult and $100 for children 6-16, under 6 free. 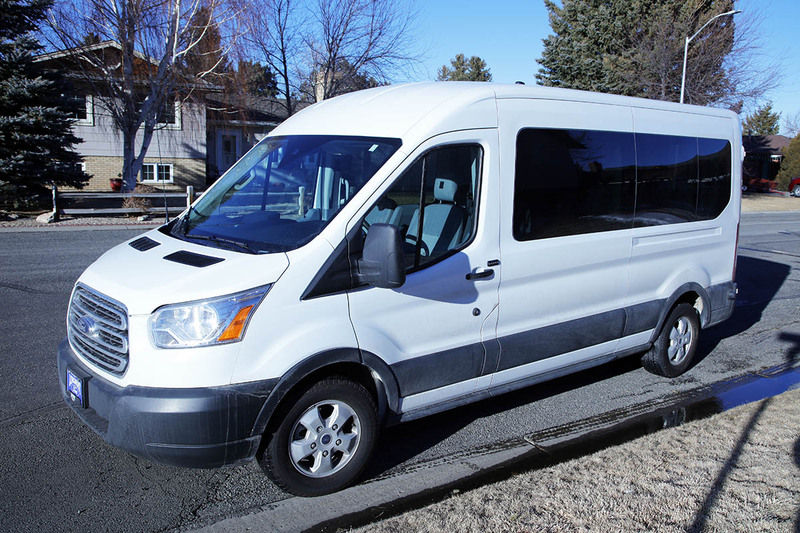 Comfortable travel in a 15 passenger van (9 adults maximum per tour). Everyone has a window seat.